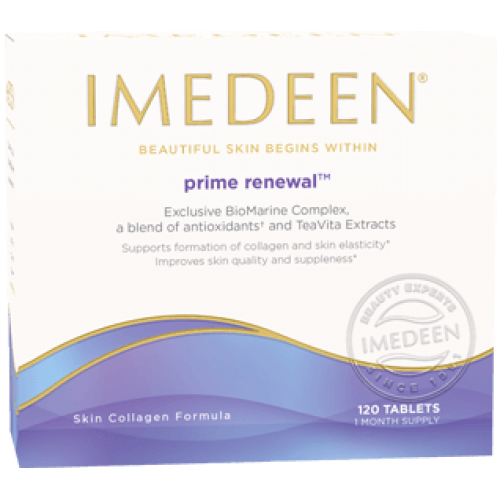 Imedeen Prime Renewal has been formulated to target the very specific skincare needs of women post menopause. Most women are aware of the fact that their skin ages faster after menopause, but do not necessarily understand what happens to the fundamental structure of the skin deep in the dermis. 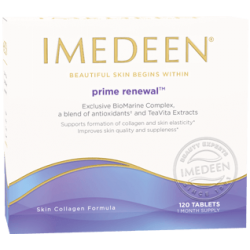 Imedeen Prime Renewal preserves and revitalizes the collagen and elastin content, ensuring skin that looks and feels firmer, smoother and more supple.